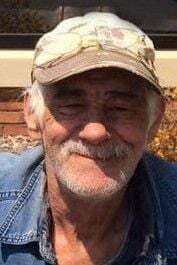 WHEELER — Robert A. Baker, of Wheeler passed away suddenly Sunday, Dec. 2, 2018, at his home while working on a project. Bob’s longtime companion, Casey Heffron, passed from cancer mid-October. Bob was born May 22, 1952, in Norwich, Conn., to May Marquis and Lloyd Baker. He was preceded in death by his parents; sister, Margaret “Peggy” McCroby; and brothers, Rodney and Barry Baker. He is survived by his brother, Joseph; and sisters, Linda Gauthier and Mary Garey. Bob helped to raise four children, Matthew, Rebecca and Lucas Baker, and Jennifer Masterson. Bob was an endearing character and will be missed by many, near and far. To God we belong and to Him is our return. No formal services are being planned at this time. Olson Funeral Home in Menomonie assisted the family.